Letter from Albert B. Cleage to Pearl Reed. March 18, 1910. 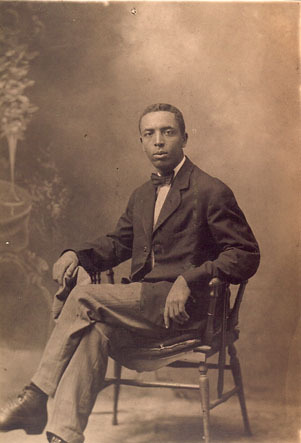 Albert B. Cleage Sr. 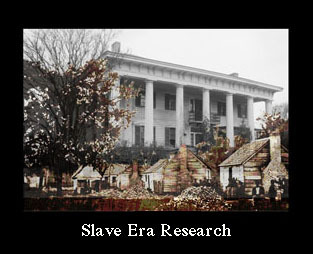 This photo was enclosed in the letter. How did you spend St. Patrick’s day? It was a lovely day sure and also has today been beautiful. How are you? Have you gotten entirely well. I hope that pains and aches with you are now “past history.”Does your mother seem to be improving? These are busy days with me. Examinations for the close of the winter term begin Monday and will last one week after which comes a ten or twelve day’s vacation.- What can I do with so much time all by my lone self. Do you remember that last year we planned a day’s outing in the country and I thinking the day appointed, too bad did not show up? And also how you got angry with me? See how well I remember. That has been one year ago but it to me certainly does not seem so long. You did go to Brookside with me, which was the beginning of several very pleasant trips which will always be sweet sweet memories to me. My vacation is about 10 days off and it may be yet that you will be able to take that trip which we planned last year. Mrs. White, I believe goes to Lincoln Hospital tomorrow to be operated upon Monday. Mrs. Brady – Little Marcum Mitchell’s grandmother died at the City Hospital this morning. Of course I selected that negative which you liked better, others whose opinion I asked were about equally divided. I send you the other which is fast fading. Be careful for yourself. 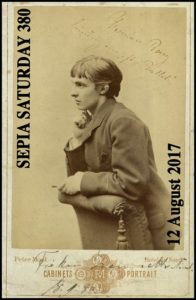 The things you said in your last letter were surely the product of a melancholie mind – such moods are not good for you. Cheer up!! Of course, God in His wise providence might call your mother home, and ’tis he alone who can cause me to cease loving you. So wake up from your dream – you shall nurse, not patients for someone else, but (__?__) for yourself – Won’t you like that better. Yes, I believe you will – Ha! ha! 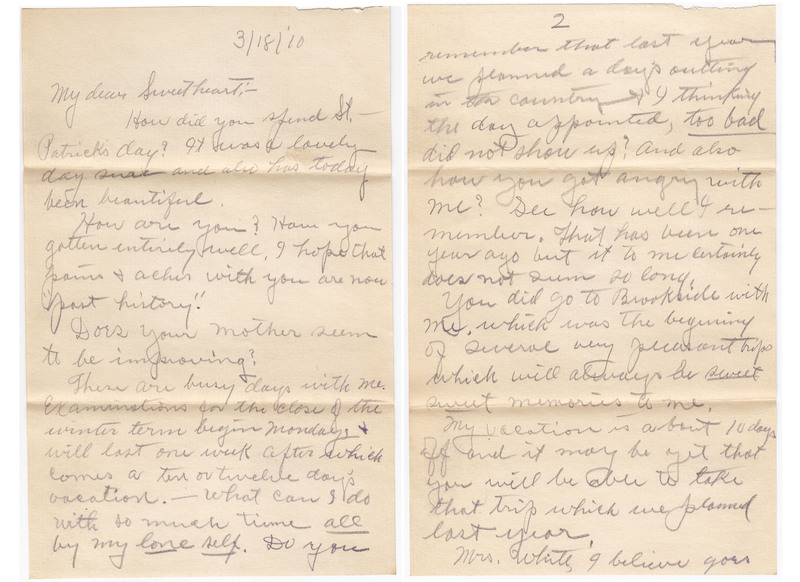 My grandparents, Pearl Reed and Albert Cleage, exchanged letters for several years while they were courting. 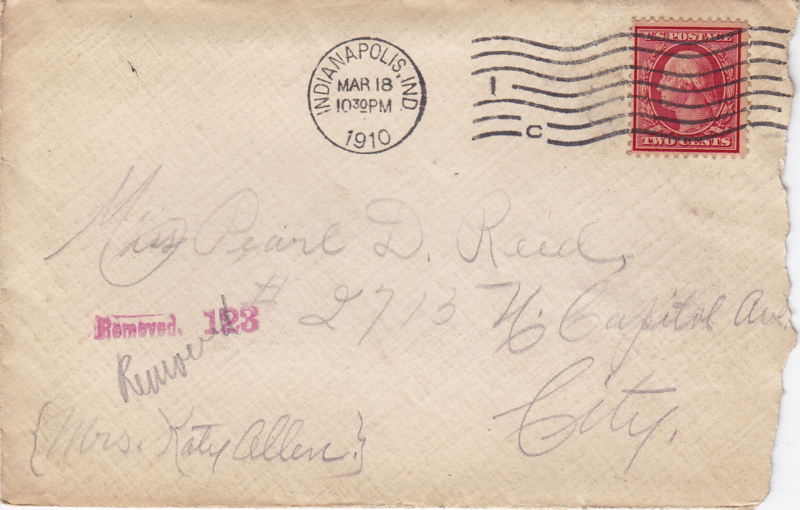 The letters go from 1907 when they met to 1912 when they were married, my father had been born and they were moving from Indianapolis, IN to Kalamazoo, MI. Unfortunately I do not have copies of my grandmother’s letters, just my grandfather’s. 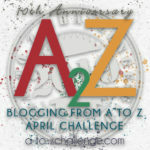 You can read more of Albert’s letters to Pearl and what else was going on when he wrote them, by looking at the Index of blog posts I wrote for the A to Z Challenge in 2014. Scroll down past the posts for 2017, 2016 and 2015 until you reach 2014. Perhaps I should give each year’s index a separate page. At one point, this letter refers back to a letter from a year ago. You can read it here at K is for Kenwood. How wonderful to have these treasured letters and the photos! It is truly amazing you have those letters. Pictures are great, but letters (or diaries, or such) can tell so much more about a person. I’m very lucky to have my great-grandfather’s journal of a trip he took back in 1874. Reading through it I get a real sense of the kind of person he was and what his personality was like. I think I would have liked him a lot. Unfortunately I never got to meet him. The written words really add a depth to the person. Along with a photo, next best thing to talking with them. How wonderful that you have these treasured letters from your grandfather! I am left curious about the outing in the country that did not happen. Oh dear. 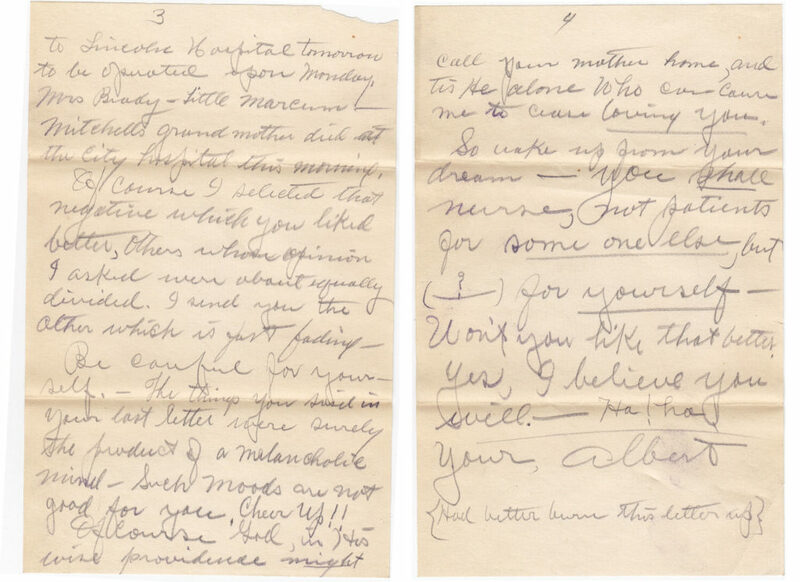 It just so happens that he wrote her on that fateful day, March 30, 1909. I should share that letter in full in another post because I haven’t shared it before. Stay tuned! Turns out I did share it before and I posted a link above. I also shared it again! I haven’t added them to the Archives yet. 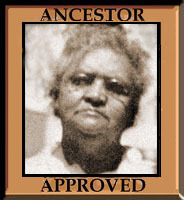 My grandfather was born in 1883 to parents who had been enslaved until their teen years. In 1910 he was attending Indiana School of Medicine in Indianapolis, so he was literate and highly educated. Unfortunately, you are so right, letters have become very, very rare these days. I wonder how long ago people could no longer write “City” for an address. I also wonder what the other photos were like that Albert passed on in favor of this one, which is quite handsome, I agree. Did he keep them and have you seen them? This photograph was still tucked into the envelope when my aunt found the letters years ago. Unfortunately, I don’t know what happened to the others. What a lovely letter, and a shared photo to go with it. Your grandfather was a man who expressed his feelings through proper terms for the times…and it’s so wonderful to see how verbose he was! I am imagining what your grandmother might have said in reply! I did have a courtship through letters at one time, and every word was frequently memorized! I really wish her letters had survived too! Letter writing is a lost art.Instant email is all very well but it can sometimes be too quick. You grandfather’s style seems very ‘open’ .Inviting respose & reply. He encourages as well as informs.The very slowness of snail-mail is a kinder and more reflective dialog than we tend to have today. I wonder what Albert would have thought of twitter? I am pretty sure he would not have liked twitter. And I agree about snail mail being better for dialog. Dialog seems to be fading fast in both personal and written form. A lovely letter and an excellent photograph accompanying it. I assume that is what he refers to as the negative. He looks and sounds like an elegant, charming man. I think he had shown her some negatives before, to get her opinion on which one he should get developed. This one is the one she picked and that he got developed and sent her. What an exceptional family keepsake. I’m envious.